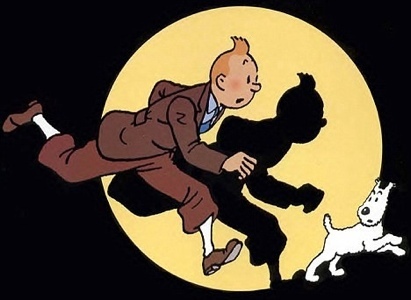 Tintin… An Adults Kids Film | ak.moves.south. We’ve been taking advantage of the Cineworld kids Sat morning cinema offer.. £1 each for a film.. Nice. Today’s film was The Adventures of Tintin: Secret of The Unicorn. I’d heard it was pretty poor but for £4 and a hour and a half of peace what the hey. I thought it was quite good, perhaps one for the older (and even older) kids and anyone who appreciates good animation and 3D graphics as I spent most of the film admiring the facial animation, lighting and the hair. Perhaps not one to buy but well worth a HD/Bluray rental. Tintin: 3 pop corns and a Lyons hotdog.